In early December, SCOTUS heard oral arguments in the Masterpiece Cakeshop v. Colorado Civil Rights Commission. 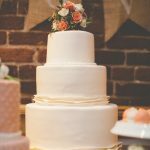 The crux of the case is that bakery owner Jack Phillips sued the CCRC claiming his rights to freedom of religion and freedom of speech have been denied when he refused to bake a custom wedding cake for a gay couple, Charlie Craig and David Mullins. U.S. Supreme Court ruling legalizes gay marriage. Analysis with Attorney Angela Giampolo on WABC 77 w/ Geraldo Rivera. Philly Gay Lawyer on SpeakOUT Radio Show (2/22)- What’s Going On? Do hate-crime laws really protect the LGBT community? Plan Well Before the Wedding Bell on Thursday Jan 22! The Hobby Lobby ruling: What next? Could the Supreme Court’s ruling in the now-infamous Hobby Lobby case lead to companies using religion as a way to deny benefits to LGBT people?